Nintendo will focus on the family market for this holiday season and change focus to advanced players next year. In a follow-up results meeting to Nintendo's financial results, the company spoke about the future, what it plans to do concerning the competition from Sony and Microsoft, and its hardware. Nintendo acknowledges it will have tougher competition with Sony and Microsoft with the launch of the PS4 and Xbox One this holiday season, but for now the company will focus on marketing its hardware and games to families, a market Sony and Microsoft are not addressing. 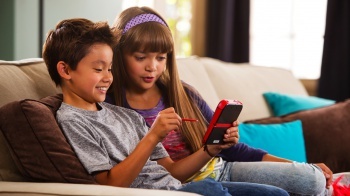 A part of Nintendo's family audience marketing will be focused on continuing to market the 2DS to families with young children. The awareness level of the 2DS is still low, senior research analyst Gibson reports, but surveys indicate buyers were new users. The lower priced handheld has made it more viable for families to choose the 2DS as an entry-level game system. At the same time, the 3DS is selling better than it did last year, and Nintendo expects a strong holiday season. Meanwhile, the Wii U has not sold well, but Nintendo CEO Satoru Iwata said he is not pessimistic. The company remains committed to creating long-term value for the company, stating once again it will not cut people from staff to cut its costs. Gibson reports Iwata restated former president Hiroshi Yamauchi's advice: "Don't copy other entertainment companies." Nintendo will not venture into smartphones, the company reiterated. It will use smartphones for promotional purposes, but has no plans to release games on the devices. Nintendo recognizes it has not fully utilized the Virtual Console library. The company rightfully has a lot on its mind with competition from Sony and Microsoft, but refusing to release games on smartphones could hurt Nintendo. The same family audience also plays games on smartphones.